Official Xerographer Fonts: Featured on ImprovElectronics / Boogie Board webpage! 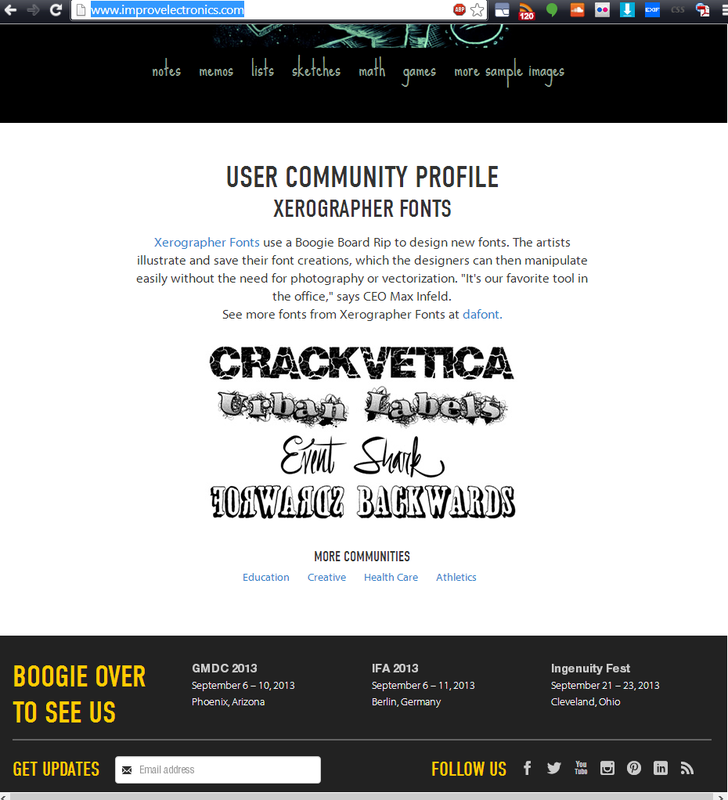 Featured on ImprovElectronics / Boogie Board webpage! They make a product called the Boogie Board Rip which is an incredible device for generating vector line drawings with a thin tablet and stylus. It's inexpensive and perfect for the vector artist. 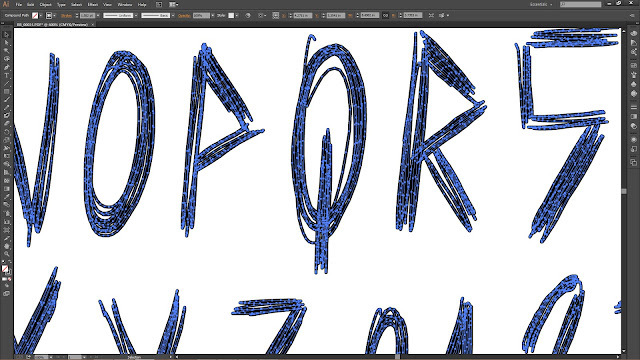 It generates the files in individual PDFs, which are great to drag into illustrator and start designing.